Identical twins Jaimé and Gustavo Muñoz own five restaurants, including the well-known Los Danzantes in Oaxaca city. They present regional Mexican cuisine on international standards, emphasizing authentic ingredients. In 1997, they purchased a small distillery in Santiago Matatlan, an artisan distilling center near Oaxaca city, to create a dependable supply of high-quality mezcal for their restaurants. In 2004, they hired Hector Vasquez de Abarca in to run the Los Danzantes distillery. Hector developed an inventive mix of traditional methods and intelligent innovations. In 2009, Karina Abad Rojas, a trained lab chemist, took over, and has overseen the expansion of the distillery. Los Danzantes and Alipus together are Mexico’s leading artisan mezcals; in 2013, President of Mexico Enrique Peña Nieto awarded Grupo Los Danzantes the annual National Quality Award. 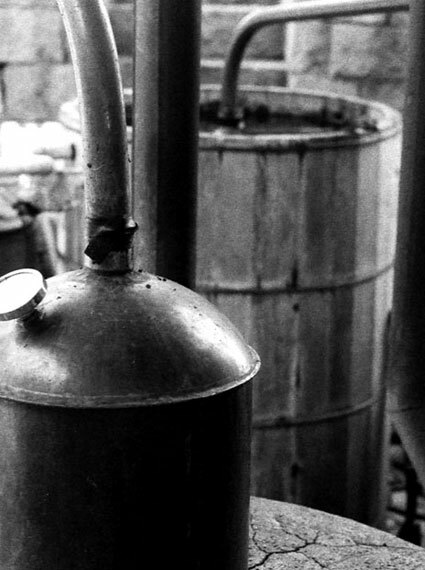 Knowledgeable persons regard Los Danzantes/Los Nahuales as the finest mezcal in regular production.